At $irst glance, Belarus may not sound like the most exciting of destinations for tourism and investing, but if you look closely you may change your opinion! Belarusian tourism potential consists of natural diversity, beauty, as well as a unique historical and cultural heritage. The treasury of world culture includes the Belovezhskaya Puscha, the Mir Castle, the Nesvizh Palace and Park Complex and the Struve Geodetic Arc. UNESCO experts are closely analyzing 20 objects located in the territory of Belarus, which may soon be included on the World Heritage List. Belarus draws special attention to agro-­‐tourism and ecotourism. More than 2,000 farmsteads are available for tourists, and they are absolutely unique! In some of them travelers will be offered a house with a $ireplace, billiards, and a sauna; in others, a small room in the house and a basin with well water outside. Some things will remain unvarying at all times: splendid food and a lot of entertainment! Recuperation tourism is gaining popularity as well. There are over 475 health resorts in Belarus. All recuperation facilities are located in zones with a special microclimate; many have their own mineral springs and mud baths. Foreigners are lured by the professionalism of Belarusian doctors, cutting-­‐edge medical equipment, and a high quality of medical services. Belarusian government gives great support for tourism and investors who are interested in developing this industry by providing special bene$icial business conditions for development. Moreover, to bring bene$its to the tourism sector, the Belarusian government has abolished travel visa for tourists from over 80 countries, including the USA. Foreigners will be able to spend up to 5 days in Belarus without any visa and registration formalities. The duration of visa-­‐free stay in Belarus is under consideration to be extended to up to 10 days in 2018. 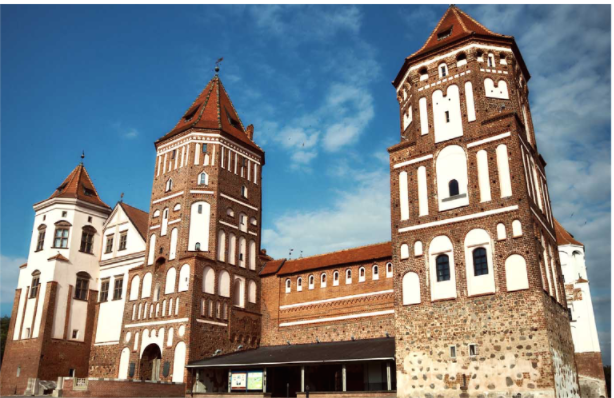 Not only is the tourism sector greatly expanding, overall Belarus is becoming a promising investment platform for establishing, building and expanding international business today. Reputable international studies, including World Bank’s “Doing Business” consistently con$irm Belarus’ status as one of the most favorable foreign direct investment destinations in Eastern Europe, and it is easy to see why! Belarus offers a strategically advantageous location, direct access to a 180 million person market of the EEU countries (Armenia, Belarus, Kazakhstan, Kyrgyzstan, and Russia) with a common custom territory, free movement of goods, services, and workforce. Moreover, Belarus is offering competitive investment and taxation conditions, which include 0% pro$it tax for 15 years and 0% VAT if an investor opens a business in the High-­‐Tech Park, within six free economic areas (0% pro$it tax for 5 years and 10% VAT), Industrial Park “Great Stone” (0% pro$it tax for 10 years), or in the territory of small and medium towns of Belarus (0% pro$it tax for 7 years and 10% VAT for 5 years). And $inally, in the light of the Bitcoin popularity, it must be mentioned that recently the Belorussian President signed a digital economic development decree which legalizes crypto currencies and initial coin offerings (ICOs). Moreover, all crypto transactions and related income, including from mining, will be tax-­‐free for the next $ive years. The Belarusian market has never been closer, and setting up businesses in Belarus has never been easier. So, the next time you will plan your vacation, remember about this fabulous rarely explored corner of Eastern Europe. Who knows, maybe your vacation could turn into some great investment endeavors!